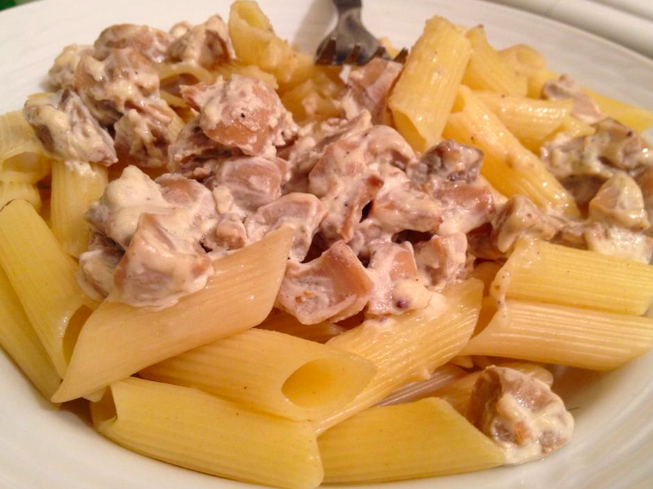 I just made my friend and myself the world’s worst pasta. I tried to mix cheeses, pepper, and mushrooms. But it glopped. And it was too late to order something for delivery or buy groceries to make something else. Welcome to curfew life in Egypt. For the first nine days, curfew started at 7:00PM. That meant that you had to figure out what you wanted for dinner by 5:00PM because all restaurants and shops close then. Nowadays curfew begins at 9:00PM (with the exception of Fridays): restaurants and shops closing at 6:30/7:00PM. This has called for more home cooking than I am used to or qualified for. It has also entailed being homebound every single night, all night. All clubs and bars closed, except for a few strongholds in Zamalek, downtown and Maadi. No latenite chats at a cafe. I may or may not have defied curfew twice, though. Shhh. Curfew also means no going to the movies or concerts in the evenings. No theatre or dance performances after 4:00. All closed. It has meant the classes I teach are scheduled earlier in the day. It has meant that we have turned to home workouts, reading books, watching far too much TV, online courses like Coursera, complaining about the lowsy wifi connections and blackouts, and wracking up the electric bill by our AC usage. But things are safe, in that the military is control. Young guys in camo relaxing atop tanks on the corner. Muslim Brotherhood, Ikhwan, Pro-Morsi, Salafis and self-proclaimed Anti-Coup protesters do make their stance every once in awhile. Like Wednesday when there was some gunfire and residents were taking it upon themselves to cordon off the area and redirect traffic. And tomorrow there may be big protests. In all honesty, my heart goes out to them. The young military and this set of protestors. Caught in a sad and sick and unrevolutionary algorithm. Where money and bodies are counted then multiplied by either national security or imposed Sharia. Where xenophobia, spin and blame are actually deafening. And revolutionary liberals and secularists sit back instead of planning the build-up they so desperately need before elections. This week is the one-year anniversary of me coming to Egypt as a Fulbright Scholar. I first came here in 2010 as a UN Alliance of Civilizations International Fellow. Then I came for a week in the (post) revolutionary summer of 2011 to visit the friends I had met during that original trip. But a year ago, I came for something big. I had left my jobs in Chicago and was flying into an unknown future, as a professional, as a dance educator, as a single woman in her mid-30s, as a survival of sexual assault and harassment, as an American in the MENA region. A Fulbright staff member met me at the airport, we negotiated the gender roles in the carrying of my bags and he took me to my Fulbright apartment where there was fresh fruit and milk waiting and the TV was turned on to CNN. He showed me where to do my grocery shopping and left me the keys. September 2, 2012. 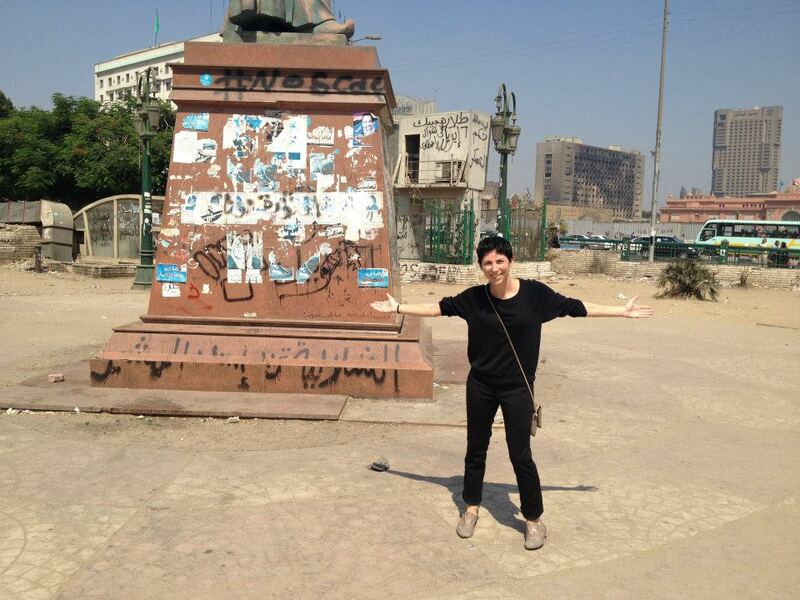 Yes, I asked a male stranger to take a photo of me posing alone in Tahrir Square. A little over a week later, watching CNN led to me witnessing the “storming” of the embassy by Egyptian Salafis and other groups protesting a video most of them had never seen. I am now realizing these are the same groups I am now seeing as pro-Morsi. Then in September I met a fantastic guy and I allowed myself the happiness of dating. I also walked into 57357 Children’s Cancer Hospital Egypt and described my vision of a dance program, applied to volunteer, and was invited to the sleepaway camp at the Health & Hope Oasis. The semester began at the High Institute of Ballet and pedagogical differences both inspired and shocked me. Then came October/November and the Constitutional mess of a referendum and shockingly undemocratic decrees. There were the liberal groups uniting to end the increasingly fascist rule of the Muslim Brotherhood and to remember those who died at the hands of the SCAF a year ago, many artists among the victims. And to honor all those liberal protestors who had been shot intentionally in the eye. These actions were the seeds of Tamarod. There was the power of Tahrir. There was Halloween and Thanksgiving and Christmas in Egypt. There were unforgettable experiences with dance schools in Palestine, witnessing the apartheid in Hebron/Al Khalil, teaching at a university and community dance program in Uganda, seeing innovations in bringing electricity to the people there, a real African safari and baby elephant orphanage, and visiting the continent’s largest slum and then the unaccompanied refugee girls in the safehouse of Heshima Kenya. Then there was Azerbaijan and Michigan. There was my mother’s cancer battle accompanying this entire year story. Her humor comforting us and our messages comforting her. There was the 35-day Egyptian artists’ sit-in, occupying the Ministry of Culture, led by my friends and colleagues. There was a joyous revolution, with artists as catalysts. There was a feeling of accomplishment followed by the evacuation of current US Fulbrighters. Then there was a shocking and disturbing mass military killing of civilians, armed or not, terrorists or not. Then more American artists arrived here in Cairo with gusto to begin their own unexpected year or two. Then there was Curfew Life and my goppy pasta.